Sunrise Hollow is a wonderful peaceful retreat! 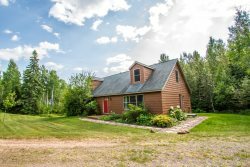 Location is ideal you can relax on the shore of Lake Superior or hike on the many trails of the area. Bike trails are in wonderful condition and newly paved. Cabin was spotless. This property is fully stocked, if you do forget something I am sure they have it on hand until you can get to a store. This was our 5th year of staying at Sunrise Hollow and it has stolen our hearts again! This was our first stay at Amazing Grace and we Loved it! Every thing from the linens to the in floor heat, wood stove, satellite tv and view of the lake made for a welcoming and comfortable stay. The location is perfect for exploring the area, spending time in Grand Marais or just hanging out at the cabin and watching the waves and wildlife. It was a positive experience from the time we booked till we sadly had to pack up and leave. It was an amazing place, right on the beach! Just perfect for the Memorial weekend. The home itself was really clean, had all the dishes and just about everything you'd need. Loved the home and location. Very warm and comfortable. This was a business trip for our team and it was very nice to come "home" and relax. Loved the fireplace! We can't really think of any negatives. Owner was amazing! Allowed late checkout to accommodate our schedule on our son's graduation day. It was an unexpected kindness. Location is perfect with so many restaurants and shops within walking distance. The scenery adds to the experience as there is a lot to explore nearby. The condo was clean and comfortable. Beds and bedding were comfortable as well. We only wished we had a few more days to enjoy the condo and surrounding area. We LOVED the condo and were already talking about coming back within an hour of arriving. The location is amazing and close to so many great things. We were there for a girls running weekend and it was fantastic to roll out of bed, exit the building and be able to run right over the lift bridge. Beautiful beaches south of the lift bridge and wonderful boardwalk on the north side. The Red Star, Fitgers Brewhouse and Portland Malt Shop were among our favorite activities, as well as The Rustic Olive. Will definitely go back! Everything was wonderful, as always!